The RiffTrax team is currently in the middle of a successful Kickstarter campaign that has proven they’ll be able to keep making fun of movies for years to come, and part of that involves recording a new commentary for The Room that’s set to debut on May 6. 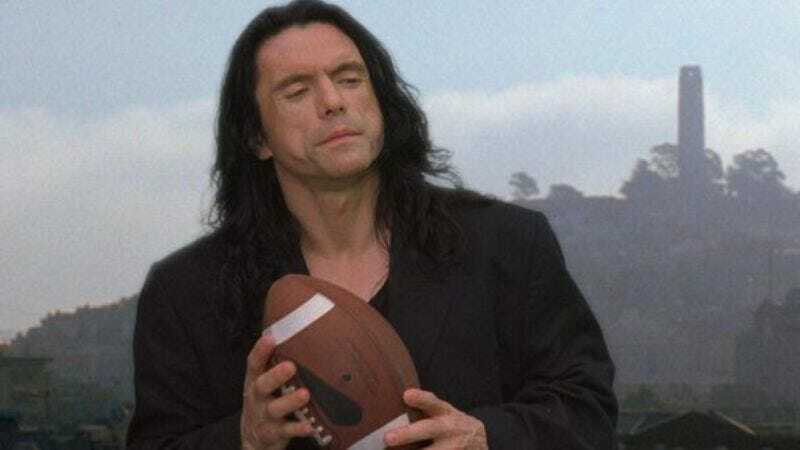 Tribeca is billing its RiffTrax/The Room presentation as a “world premiere,” and though the festival hasn’t announced its full schedule yet, it is going to be held from April 15-26 (which is a bit before May 6). That means if you’re really eager to hear these guys come up with new jokes about throwing footballs, Lisa tearing people apart, and saying hai to dogs, the Tribeca Film Festival is where to be. There’s more information about RiffTrax, and some non-Wiseau-related projects, at Tribeca’s website.